Being a fashion blogger, is not just fun, it also comes with lots of great perks. Blogger mail started arriving at my door around 6 months ago, just as my blog was picking up pace and I was gaining followers. No matter what is sent, or who it's from, I will never stop feeling grateful for the pieces I receive. To be honest, I still can't believe people want me to wear their clothes! A few weeks ago, one of the best blogger mail deliveries arrived...denim culottes (now just £15!) from the amazing ARK Clothing, as part of their #ArkHero campaign. When I was asked to chose my #ArkHero piece from their fantastic collection (not just saying that, check it out here!) I obviously went straight to the culottes. 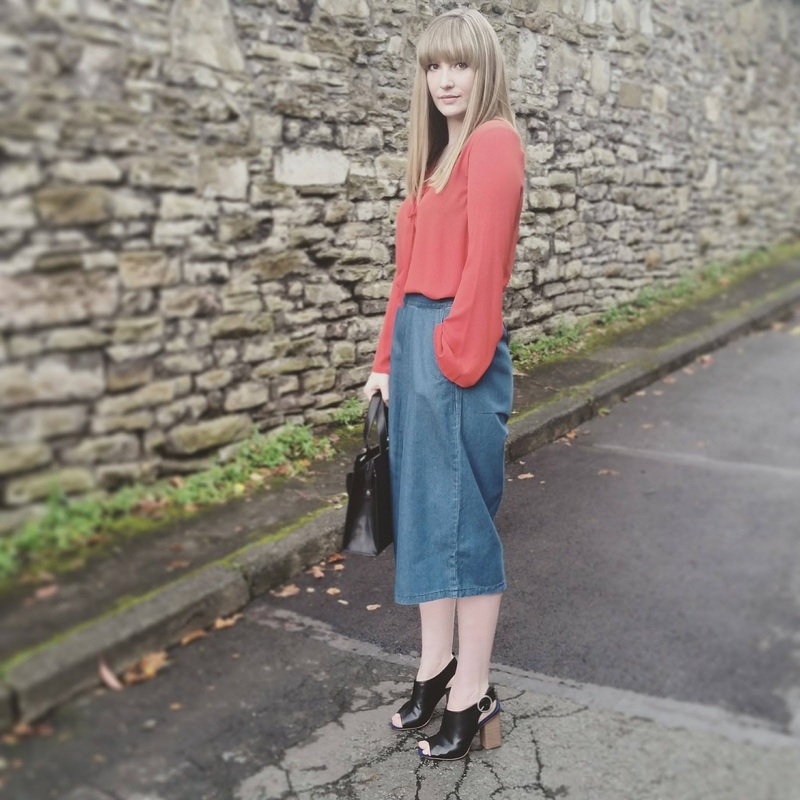 Believe it or not, I don't own a pair of denim culottes! 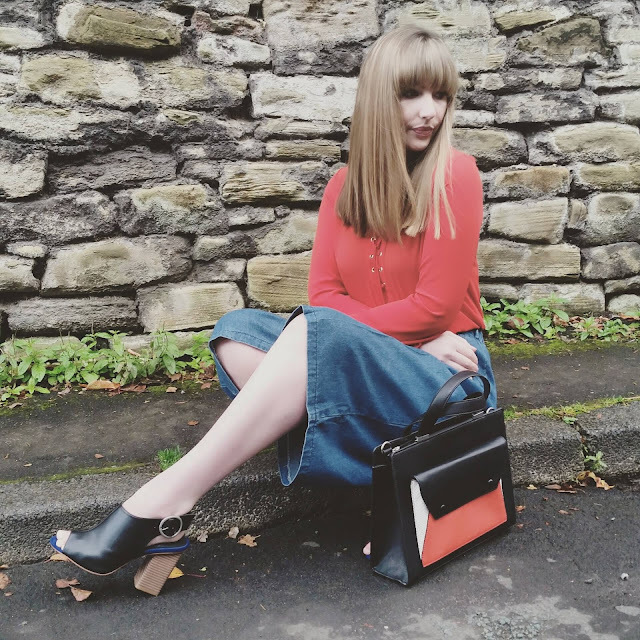 I know I know, culotte addict here not owning one of the key trends of the season...So when they arrived I couldn't wait to style them up! 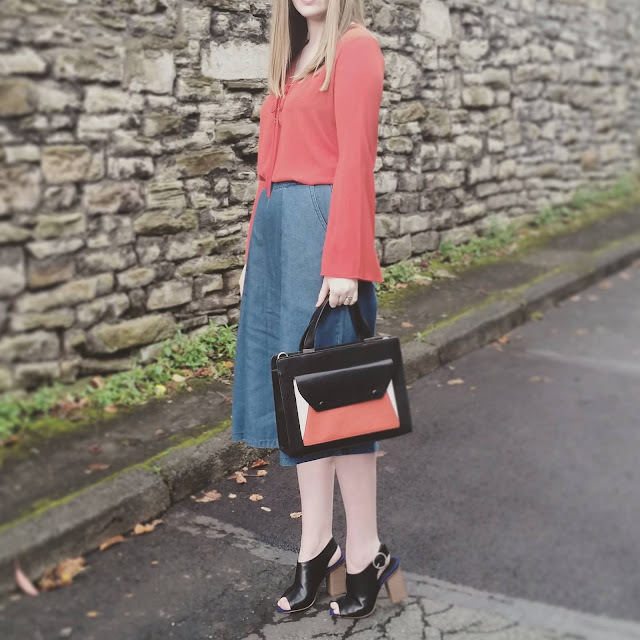 They are ultra seventies chic, but felt really modern on. I teamed them with my Primark lace detail blouse, and kept the look quite simple. 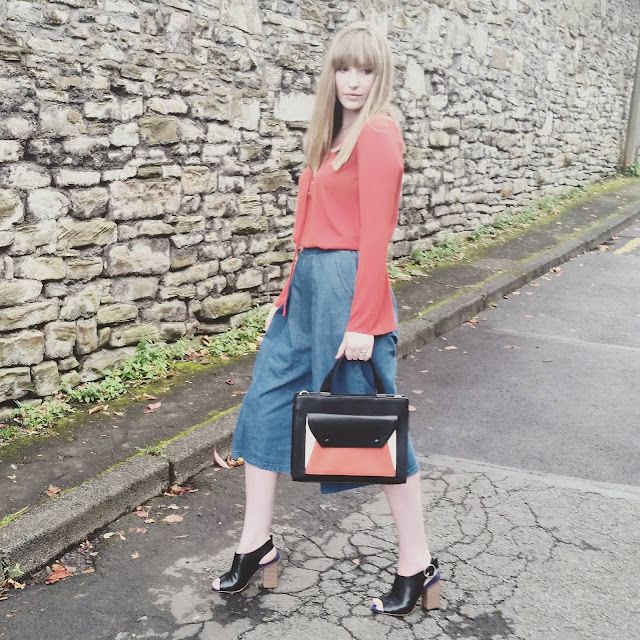 The culottes themselves are incredibly comfortable, and they have an elasticated waist, which made them gather at the back, for a really flattering look. 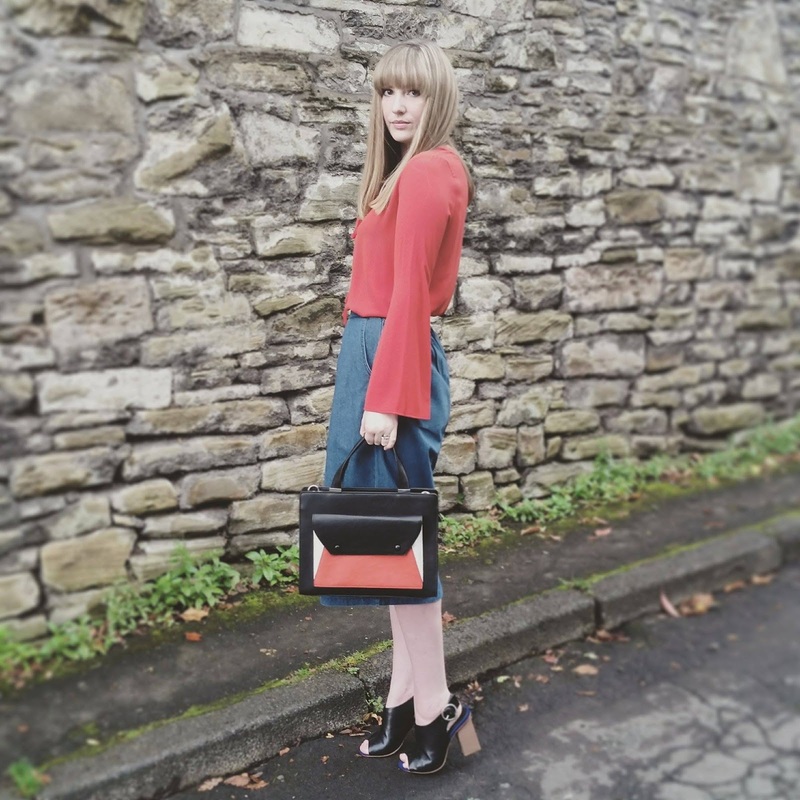 I added another seventies twist with my good old mules, and finally added my new Marks and Spencer's colour block bag. What would your #ArkHero piece be, I'd love to know!